There’s so many ways to connect with people these days, whether it’s social media, networking events, or any number of gatherings around niche interests. A concept I heard about recently, called “social isolation,” points out that we have all of these devices (smartphones, computers, smart watches, etc.) with social media apps and communication capabilities, and while these tools are made to expand our circles, we become so “heads down” isolated with whatever it is on the screen that we miss everything that is going on around us. This doesn’t help with our efforts to be more involved with the people that we want to have relationships with, much like I talked about last week. It’s true that we can often get so lost in our Instagram feed or Facebook articles that we forget the person sitting right beside us that is longing for a conversation with us. A short few years ago, we would meet with friends or family for lunch and our cell phone wouldn’t see the outside of our pockets unless we got a phone call, and even then, oftentimes we would pull it out just to silence the notification. When I have dinner with family, we get into a wide gamut of conversations ranging from movies to current events, personal stories to a joke we heard the previous day. I’ve begun to notice that, as one personal example reminds me, we would talk about the Atlanta Braves stadium that just opened earlier this year and the conversation quickly moved to us wondering about when the old stadium first opened, seating capacity comparison between old and new facilities, how much each stadium cost to build, and so on. Guess what? Phones start coming out (mostly mine), immediately navigating to Wikipedia or Google to quickly find that information to satisfy our curiosity. We would always say, “I wonder,…” and the joke saying now is “well, we don’t have to wonder!” I’m not going to get into the validity of information you can find on the internet, but it’s fascinating to see how our behavior has changed over this short time, that we rely so heavily on the information that we can access on our devices. How is this relatively young reliance on technology really affecting our social interaction with those that are present around us? I’ve seen topics like this floating around online in the past and some pretty blunt opinions come out with suggested remedies to this situation, like how families have “house rules” like no cell phones or other devices are allowed at the dinner table. Other types of rules I’ve heard of, similar to this, are if you’re out at a business lunch, you stack all the phones up in the center of the table and the first person to grab their phone has to pay the bill. These are great ideas and ones that I like to strive to incorporate into my own life as best I can. It’s not hard to get creative and come up with more new ways like this to actively maintain a sense of self-awareness around how our devices dictate our social behavior. I struggle with this in a big way, because I have developed what my wife would call (a new word we learned) a monomaniacal tendency as it relates to how I can incorporate the amazing technology that is all around us into my daily routine. I rarely carry my wallet around with me because I get gas or meals or whatever at places that I know accept Apple Pay, where I can pay using my iPhone or Apple Watch. I tell Siri to show me my best friend’s phone number because I can’t remember it and because I don’t want to swipe to my contacts and scroll or search to find it. I set a reminder on my phone to alert me when I get within a few hundred yards of Wal-Mart that I need to pick up toilet paper or spaghetti sauce or whatever, because I don’t want to have take the time to write it on a Post-It note (that I would need to buy from Wal-Mart anyway) and stick it to my dashboard. Honestly, though, I don’t think much of it as a struggle. So many people in my circles have said to me that technology and innovation is getting to the point of “overkill,…” like do we really need this or that? But think about it: when our parents or grandparents first had an enclosed garage but had to get out of the car to open the garage door manually… do we really need electric garage doors and openers? Or when I realized that, since high school, my engagement in active sports and recreation went way down and my stomach eventually stuck way out, but I saved up and got my first FitBit and later an Apple Watch and realized that this device makes challenges like going for a run or walk, or working out, a lot more fun and motivating? 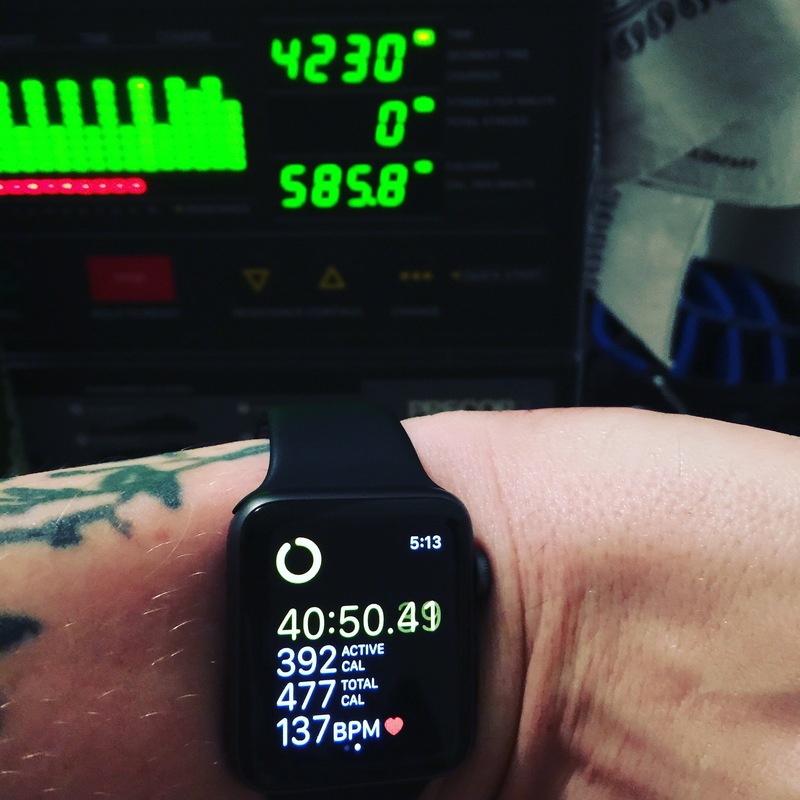 Do we really need a watch that tracks our heart rate or run/walk mileage or calories burned? Love your perspective and especially loved the idea about cell phones in the middle of the table and the one who grabs theirs first, pays for lunch!